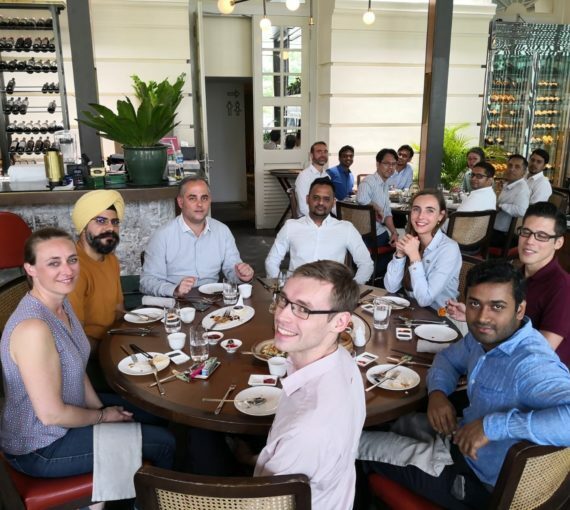 On March 7th, the entire Antaes Asia Team members had the pleasure to spend time together, enjoying a beautiful Chinese lunch at The Empress Singapore. This Lunch was a great occasion to welcome our newcomers Aditya, Jeffrey and Romane who joined our team. It was a lunchbreak filled with new encounters and lively business-oriented conversations. Dim-sum, fried rice and Shitake is our secret recipe for a successful and united team!